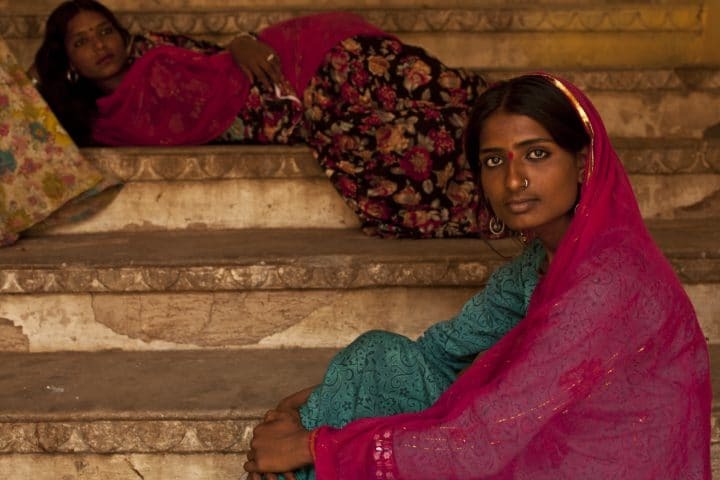 India is a country of mysterious paradoxes and distinctive destinations. As one of the most diverse countries in the world, the land stretches from the snow bound Himalayas in the north to the tropical southern beaches situated in Southern Asia. In between you have jungles, desert, rivers and most important of all the River Ganges, which flows through the heart of the country. Visiting India is all about the story – the lores, mythology, the opulent forts and palaces; the intricately carved temples; remote rituals, performing arts, exotic craft, extraordinary range of cuisines and stunning vistas all come together to create a book of vibrant pictures and a lifetime of memories. Banyan Tours, a Virtuoso OnSite, is a well-respected and well-connected destination management company, who will help design your dream itinerary tailored to your interests while connecting you with local insiders, authentic experiences and thinking through all the logistics. For a first-time visitor, Rajasthan (Jaipur, Udaipur, and Jodhpur), Agra and Varanasi provide a fantastic overview of India’s diversity. Journeys begin in Delhi as it is the best gateway into North India due its variety of international flights. Itineraries range from 12 to 14 days on the ground. Delhi, the capital of India, is home to 16 million people making it the third largest city in India. Driving through the city you will see ruins from previous capitals, the earliest dating back to the 12th century. The strategic location of the city made it an attractive location for invading armies, and it served as the capital for many great empires that ruled India. From Delhi, you will travel to Varanasi. Known as the spiritual heart of India and one of seven holy cities, it is a revelation into Indian faith where travelers will observe the city in three moods. 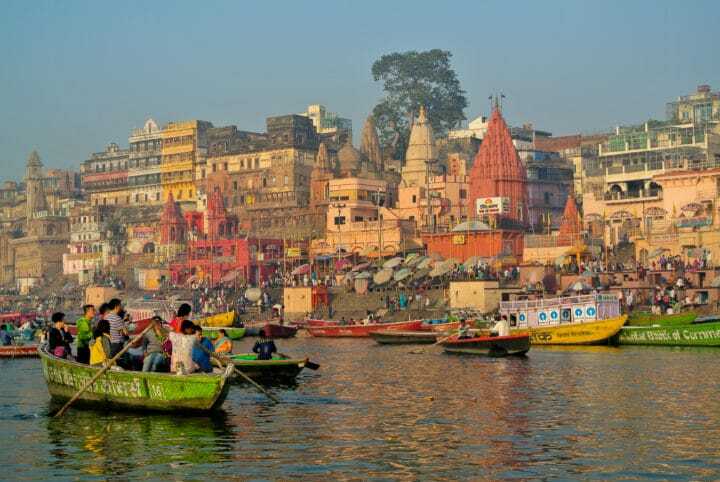 The morning is vibrant where the Ghats (known as steps) along the river are teeming with people worshipping in the morning sun, practicing yoga, bathing or doing laundry. 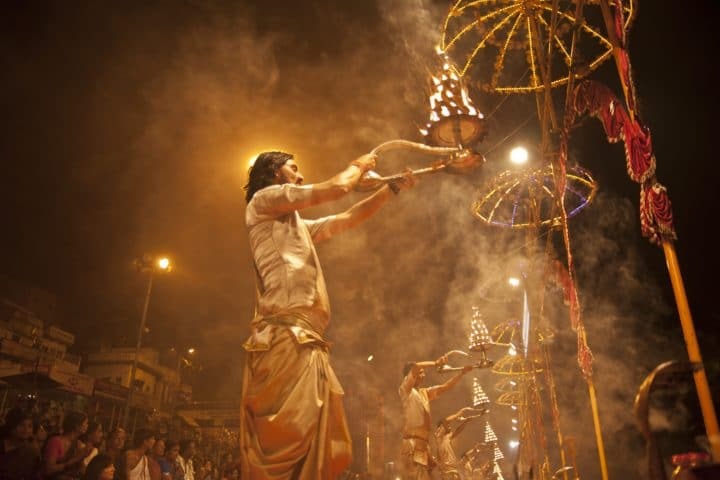 At dusk, the river is calmer, and the day ends with a beautiful aarti (fire) ceremony. For the intrepid traveler, there is a night walk through the narrow lanes of the Old City, past shrines and sacred ponds, and past the great cremation ground where one can hear the dark practices of the Aghors. Next fly to Agra, where you will be awestruck by the serenity and beauty of the Taj Mahal. Then continue to Ranthambore National Park where you search for the magnificent and elusive royal Bengal tiger in the dense Indian jungle. 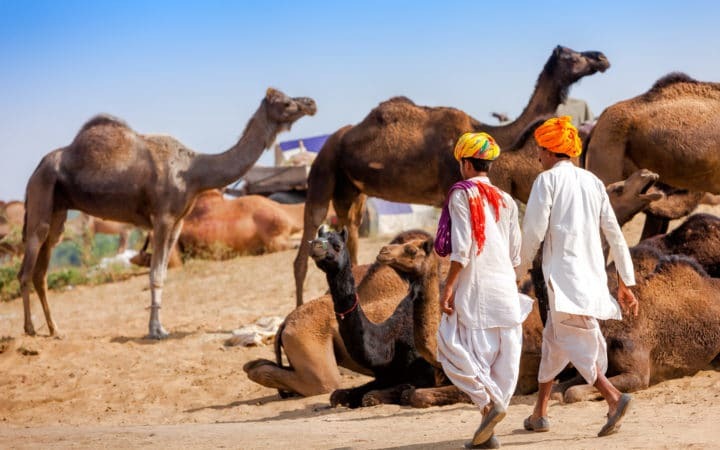 No journey through Rajasthan is complete without exploring and shopping for textiles in the Pink City of Jaipur, seeing the romantic lakes and palaces of Udaipur and exploring the rugged beauty of Jodhpur lying on the edge of the Indian desert. Some of the highlights will include private tours of forts and palaces, unusual crafts and performing arts, spending time with elephants, and enjoying gorgeous sunsets in the desert. The Southern Indian Peninsula is flanked by the Arabian Sea and the Bay of Bengal. In between the coasts lies a diversity which is astonishing. From towering colorful temples to tropical rain forests, lost empires and a handful of UNESCO world heritage sites. Its history predates northern India. Journeys to Southern India can begin in either Mumbai, Hyderabad or Chennai. Itineraries range from 12 to 14 days on the ground. Chennai, formerly known as Madras, was a collection of several fishing villages and therefore lacks a concise center. Chennai today is considered to be the cultural capital of Southern India and is the fourth largest city in India. Next, travelers will visit Mahaballipuram, an UNESCO World Heritage Site, home to superb rock cut sculptures with the zenith being the Shore Temple on the way to theformer French colony of Pondicherry where you visit the French and the Tamil quarter. From Pondicherry, you head to the heart of Tamil Nadu driving through the fertile valley of the Kaveri River. This area is abundant in temple architecture most dating back to the 9th to 13th centuries. Over the next four days, you will visit Thanjavur and Madurai and see awe-inspiring temples, ancient rituals, and witness some of the oldest performing arts and art in India. Then you will head to Kerala– the southernmost state in India. You will search for the Asian elephants in Periyar National Parkand visit the spice and tea plantations on your way to the famous Kerala backwaters, a series of canals which you explore in small boats going to areas tourists rarely visit. Take a couple of days to rejuvenate at a spa and then continue to the harbor town of Cochin where Jewish, British, Dutch and the Portuguese all influenced the architecture, cuisine and culture of the city. You will end in the cosmopolitan city of Mumbai. Known as India’s most dynamic city, Mumbai illustrates the many paradoxes of India. Some 18 million people inhabit Mumbai from billionaire tycoons to homeless pavement dwellers live in this teeming metropolis. While it is India’s financial capital with one of the busiest ports of India, Mumbai is home to Bollywood, known as the world’s largest film industry and iconic choreography. Alternatively, end your journey in Hyderabad. Founded in 1591 by Muhammed Quli Qutb Shah who was an enlightened poet, scholar and patron of arts. His kingdom flourished as the center of trade especially in pearls, diamonds and horses. Today the famous Kohinoor adorns the crown worn by British royalty is from this area. For history buffs, Hyderabad was famous for its beautiful monuments, mosques and mistresses and many of the mosques and monument still exist. While the city has a mélange of Hindu and Turkish customs, influenced by the Arabs, Persians, and Turks. This unique culture in Southern India dates back to the Nizams, who were considered to be the richest men in the world, and married into the Turkish royal family. Namaste – the common greeting in India translates to “I greet the God Inside you”. This epitomizes the idea of hospitality in India. You will leave India with a memory of the smiles and the joy and enthusiasm with which everyone shared with you the rich heritage of this ancient land and made you welcome in their home.